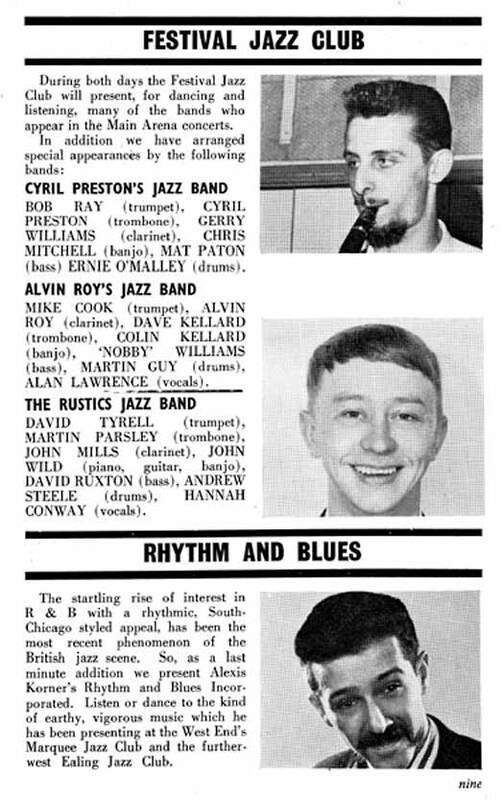 Ken Colyer and the New Orleans Brass Band. 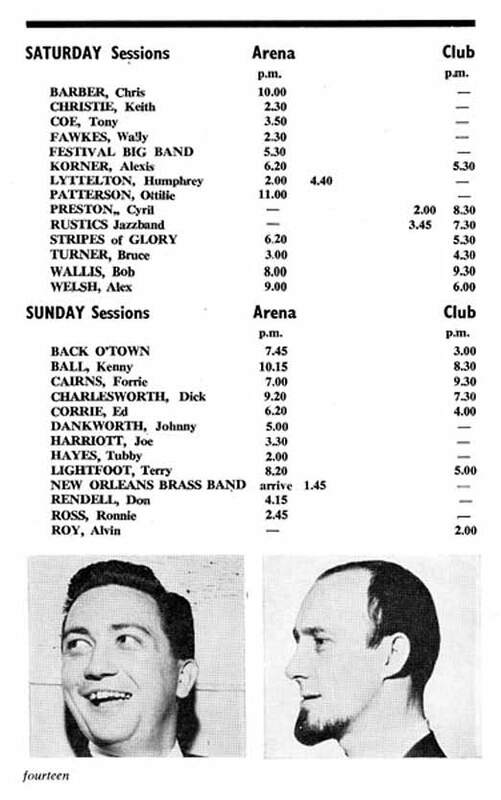 Program courtesy Des O'Brien . 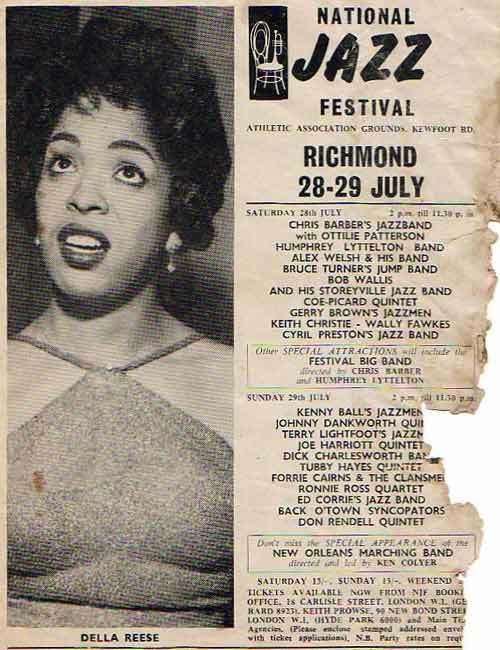 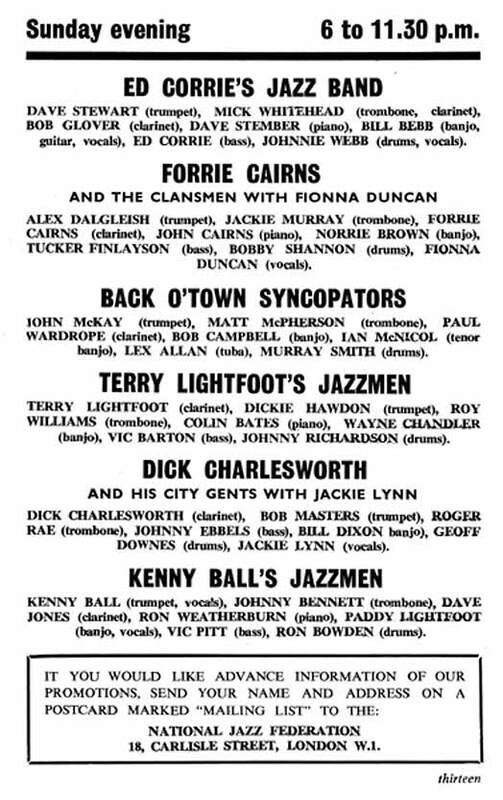 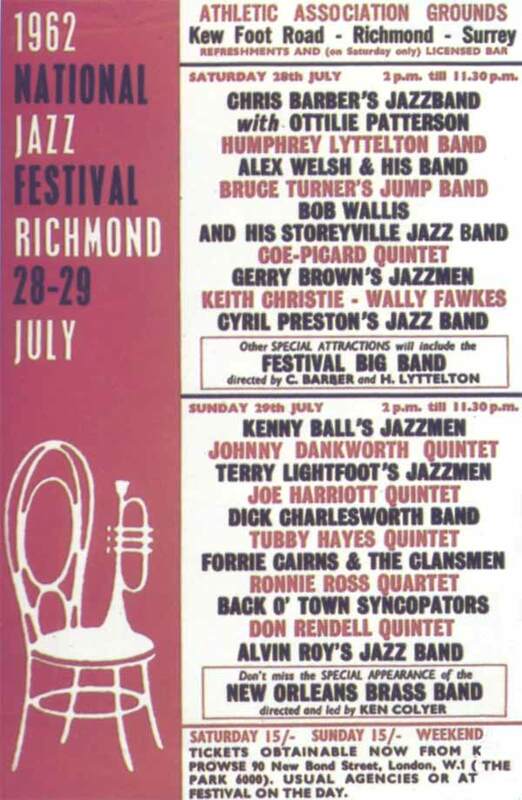 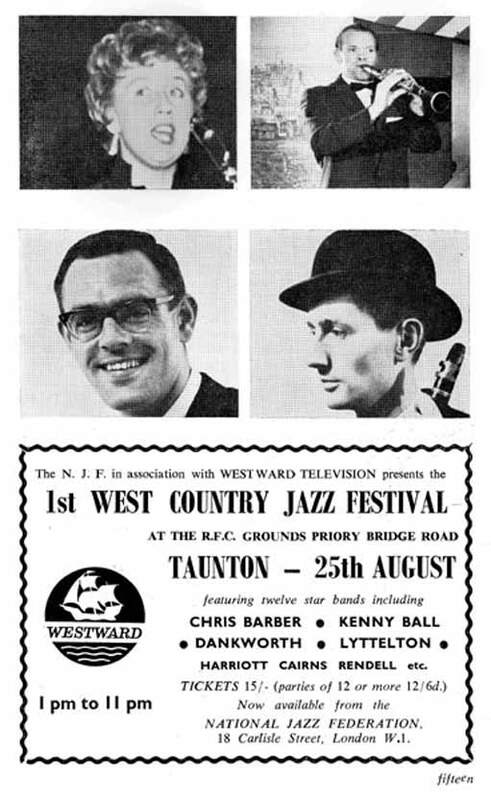 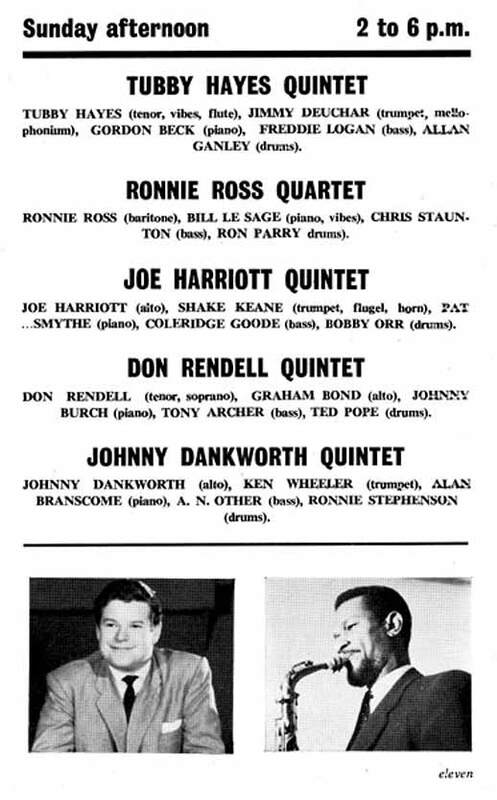 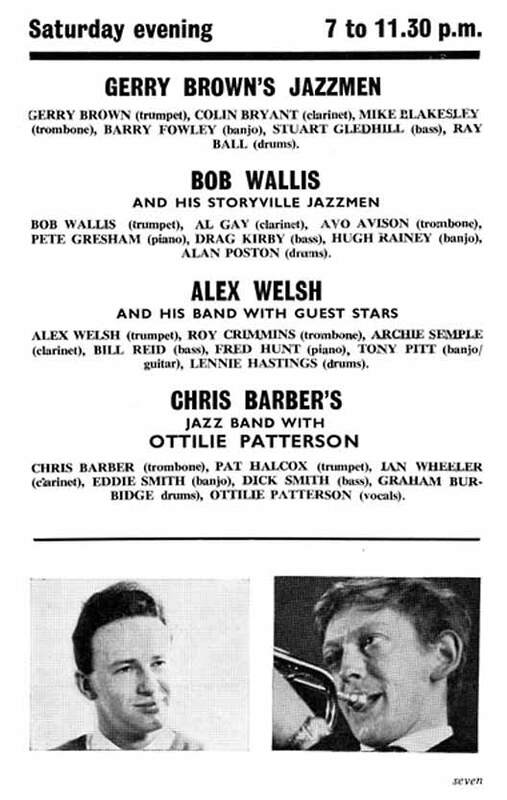 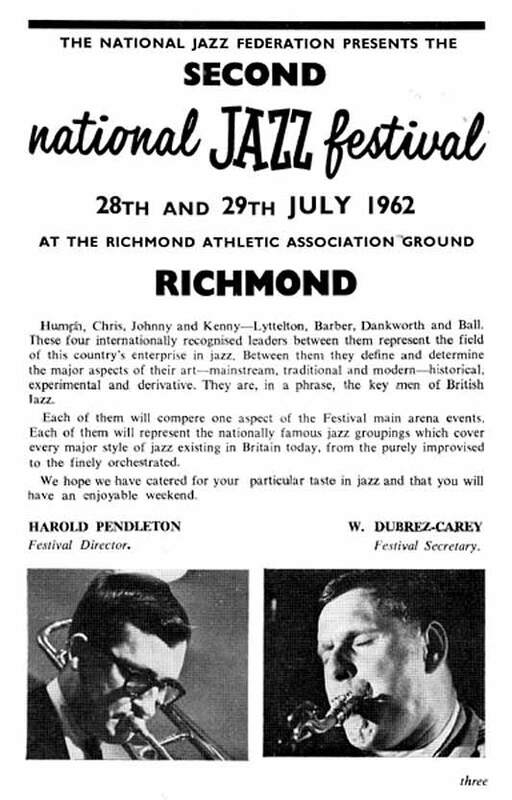 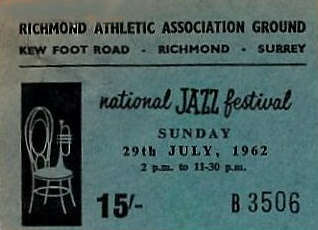 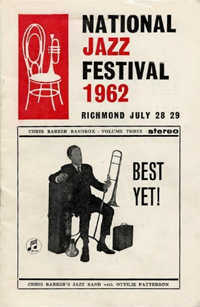 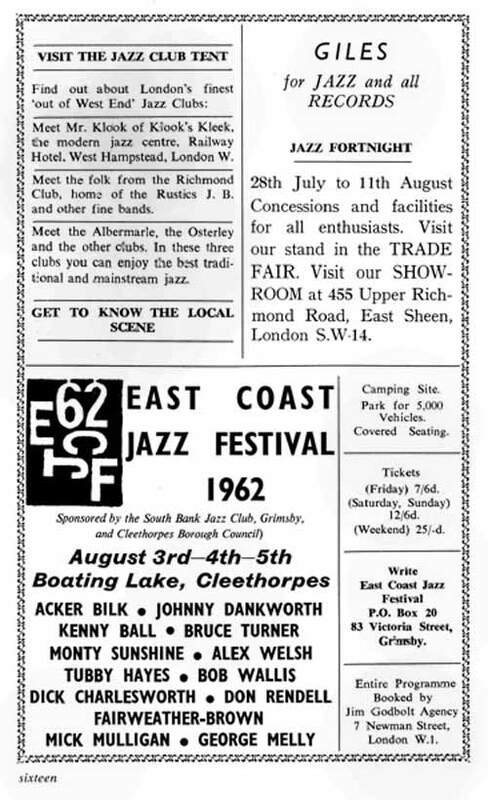 Its interesting to see other large Jazz Festivals advertised in the program ( I worked with a guy who played at the East Coast Festival in 1962 a few years back ) but within a few years these had pretty much faded away and young people had defected to the pop ,rock, folk, blues and pyschedelic music that was featured at the festival until the mid 70s.